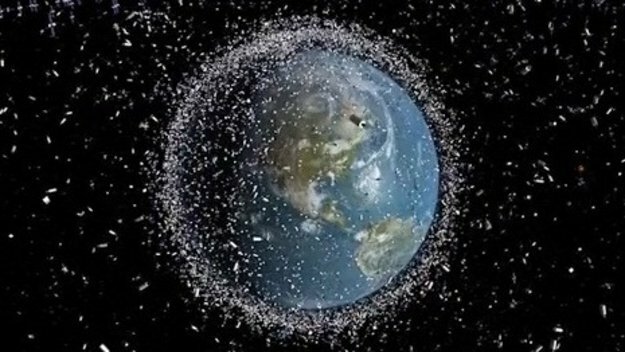 The Global Trajectory Optimisation Competition (GTOC) is an annual worldwide challenge which was organised this year by the European Space Agency (ESA) on a challenging problem on space debris removal. Those participating in the event include top universities as well as leading research agencies in the field of space trajectory design. For one month the teams of scientists compete to find a solution for the set optimisation problem by proposing new methods and solutions that will be disclosed at the end of the competition in a dedicated workshop. The 9th edition, named the Kessler run, sounded somewhat like the start of a science fiction movie; “It is the year 2060 and the commercial exploitation of Low Earth Orbits (LEOs) went well beyond the trillion of Euros market size”. This was the prologue of the problem which was to design a set of missions to deorbit 123 debris by minimising the cumulative cost of launch and propellant mass. This year boasted the greatest ever attendance with 67 teams registering from 20 different countries. Among the entrants was the Strathclyde++ team from the Department of Mechanical & Aerospace Engineering, led by Dr Annalisa Riccardi. After a month of hard work the team ranked first in Europe and sixth worldwide, behind NASA Jet Propulsion Laboratory and four Chinese institutions. This is a great achievement for the team at the newly formed Intelligent Computational Engineering laboratory of the Department. The success was due to the dedicated team members; Carlos Ortega, Cristian Greco, Dr Romain Serra, Marilena di Carlo, Lorenzo Ricciardi, Mateusz Polnik, Aram Vroom, Dr Edmondo Minisci, Professor Massimiliano Vasile and to Dr Richard Martin and Dr Karina Kubiak-Ossowska from the Archie-WEST Supercomputing Centre for the support and access to the supercomputing facility.